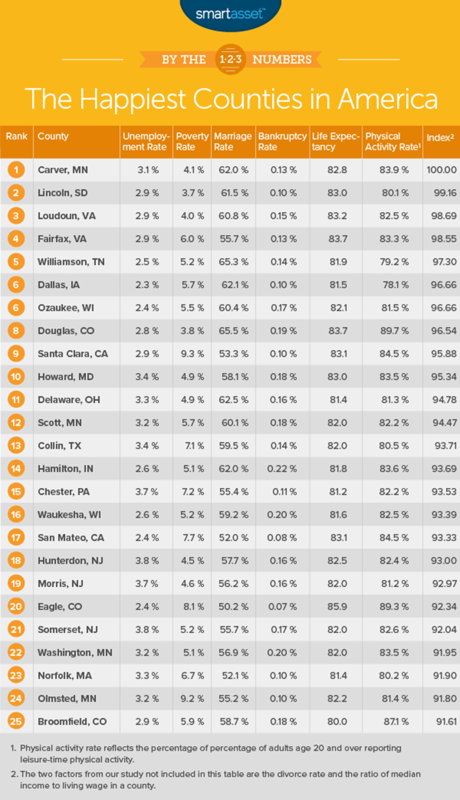 Last week, financial technology company SmartAsset announced its list of the happiest counties in America. Hamilton County ranked 14th, the only Indiana county to tank in the top 25. Hamilton County did not rank in the top 25 of the 2017 study, which has been conducted by SmartAsset for the past four years. The study measured family stability, physical well-being, personal financial health and economic security. To see more details of the study, visit smartasset.com/mortgage/happiest-places-in-america-2018-edition.